About – A Happy, Healthy, Wealthy You! 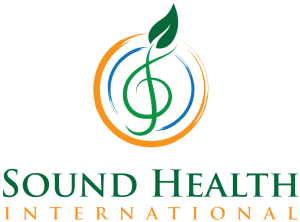 HappyHealthyWealthy.Me is a project of Sound Health International, founded by Benjamin D. Koen, Ph.D. that provides dynamic programs, products, and education for you to create true and lasting happiness, health, and wealth in your life. The system presented in Dr. Koen’s new book, 5 Steps to a Happy, Healthy, Wealthy YOU! through music, the mind, and meditation approaches health, happiness, and creating the life you passionately desire from a holistic perspective by engaging what he calls the Five Factors—the Physical, Psychological, Social, Emotional, and Spiritual factors of life, also known as the Body-Mind-Spirit-Emotion-Relationship connection. Dr. Koen’s book introduces you to a new way of understanding meditation along with a method that is easy to use, and which has been successful for hundreds of people from diverse backgrounds in achieving or far surpassing their goals in any area of life. In addition to his fresh and accessible way of presenting meditation is Dr. Koen’s way of understanding and using sound and music, which is unique to his system. Not only does he show how music has the same Five Factors that are key for a life of happiness, wellness, and prosperity, but he also gives you practical and powerful techniques for using sound, music, and meditation to create the life that you desire. A natural consequence of having these Five Factors in balance and in a state of vitality is the experience of joy and happiness, wellness and health, wealth and prosperity, as well as countless beautiful and ineffable aspects of life. Drawing on cutting-edge research, a wealth of spiritual principles, and his vast experience in music, meditation, and coaching hundreds of people in achieving their dreams, Dr. Koen walks you step-by-step through a clear and effective process of reflection, decision-making, meditation, and extending the experience of meditation throughout your day, everyday. See a brief excerpt of the book here, or check it out at Amazon.com now! Sign up here for the free HappyHealthyWealthy.Me Newsletter, which gives you valuable and practical information on how to create exactly what you desire in each and all areas of life. You’ll also hear interviews and real life stories of people who have achieved or far exceeded their goals in these areas. Sign up here now! Soon, you can also check out the HappyHealthyWealthy.Me Store for materials and products that will support you in your journey to create the life you desire. To a Happy Healthy Wealthy YOU! Dr. Benjamin Koen is a leader in the areas of music, meditation, and wellness. He is a widely published author, critically acclaimed musician, highly sought after speaker, life transformation and wellness coach, and is Distinguished Professor of Medical Anthropology and Medical Ethnomusicology and Xiamen University in Fujian Province, China. Read Ben’s bio here.